Vol. 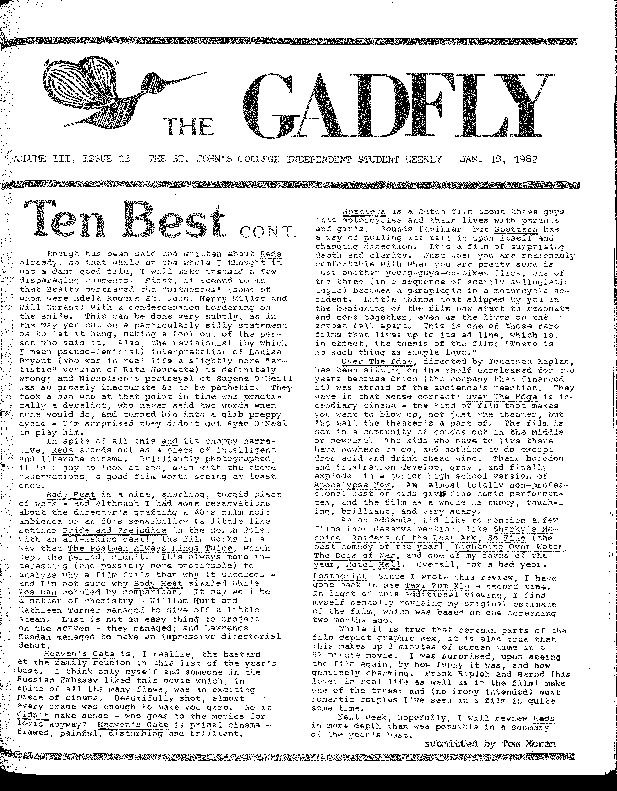 III, Issue 13 of the Gadfly. Published January 18, 1982. Elizabeth Struck (Editor), “The Gadfly Vol. III, Issue 13,” St. John's College Digital Archives, accessed April 21, 2019, http://digitalarchives.sjc.edu/items/show/5292.